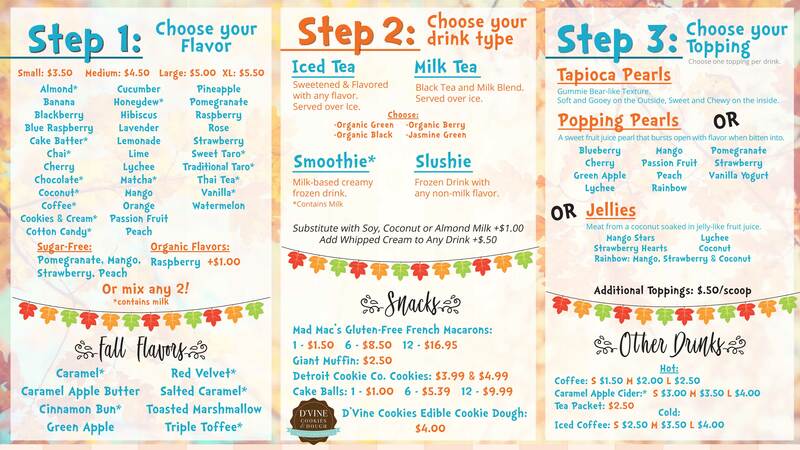 Menu | Tea with a Twist! 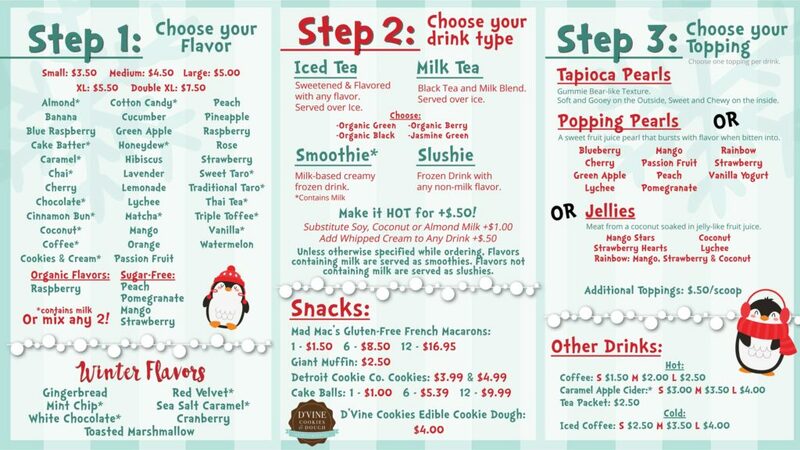 Menu is subject to change as we are always changing flavors to fit the season! Keep visiting for more up-to-date flavors.